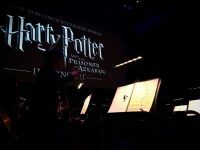 The Harry Potter film concert series continues this fall at the Walmart AMP with another full symphony performance. The 2019 Springtime of Youth music festival lineup is out. The annual Ales & Tails Festival is hosting two events this year; one in Fayetteville and one in Bentonville. The event, organized by the Arkansas Brewers Guild, is back for its fourth year this year. Butter up your popcorn, and ice down your Dr. Peppers, Fayetteville. 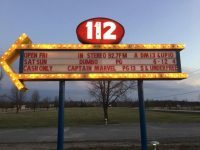 The drive-in reopens this weekend. 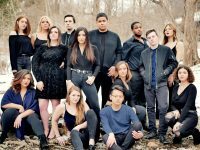 The fifth annual singing competition is set for 7:30 p.m. on Saturday, April 6 at Walton Arts Center. Racism, domestic abuse, police brutality, and abortion are some of the hot-button issues that crop up in the plays of Rachel Lynett. 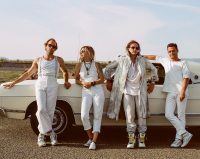 Last year, BRONCHO released Bad Behavior, a record that blended both versions of the band into its best record yet. 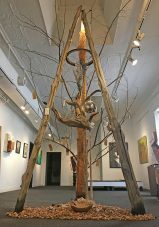 The show, titled ‘Collaborations and Conversations’ is curated by Fayetteville artist Steven Schneider, and is centered around work created by multiple artists working together. First Thursday will return to the Fayetteville square in May for the first of six events planned on the first Thursday of each month through October. BikeNWA will host the first of four “Open Streets” events planned around the region in Fayetteville March 31. Two events are planned this month to help local students and families explore sustainability through art. The live music schedule for the 2019 event has officially been announced via the event’s official website. 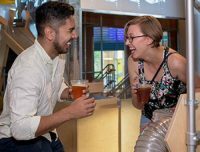 Amazeum officials recently announced plans to host a night for grown ups at the museum on Thursday, March 28. Fayetteville’s The Phlegms is one of the most exciting bands to emerge from the local punk scene in the last few years. AMP officials on Monday announced that the summer tour featuring Nelly, TLC, and Flo Rida will be making a stop at the venue for a show on Tuesday, Aug. 20. The 12th annual event is set for Saturday, March 16 this year, and will begin at 5 p.m. 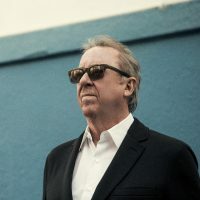 Legendary singer, songriter, and guitarist Boz Scaggs is coming to Fayetteville next month, and we have tickets to give away to the show.